Every little girl dreams of being a princess at one point or another. Some may even request a birthday party or a tea party with a beautiful princess theme so that she may share a bit of royal magic with all of her friends. This year, I received a request from my dear niece for some heart cookies with very specific colors for her princess-themed birthday party. 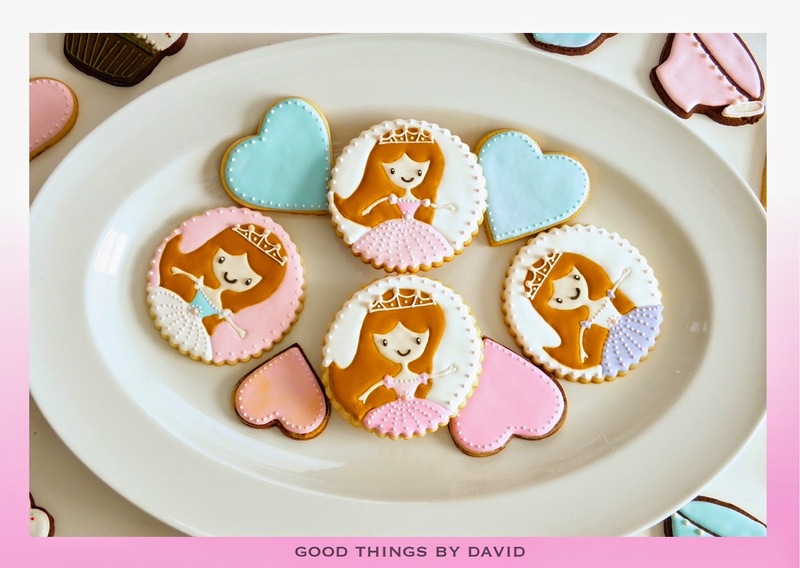 Being someone who likes to create a bit of cookie magic, I designed an entire set of cookies with a royal flourish for my little one, because I wanted to surprise her. Knowing the exact color scheme (chosen by my niece), I took out a few cookie cutters in shapes fit for the sweetest of parties, and set aside some time to bake and ice Princess Cookies. Keep these cookies in mind if you're thinking of throwing a birthday party or a celebration for someone extra special in your life. Remember, they are a true labor of love. 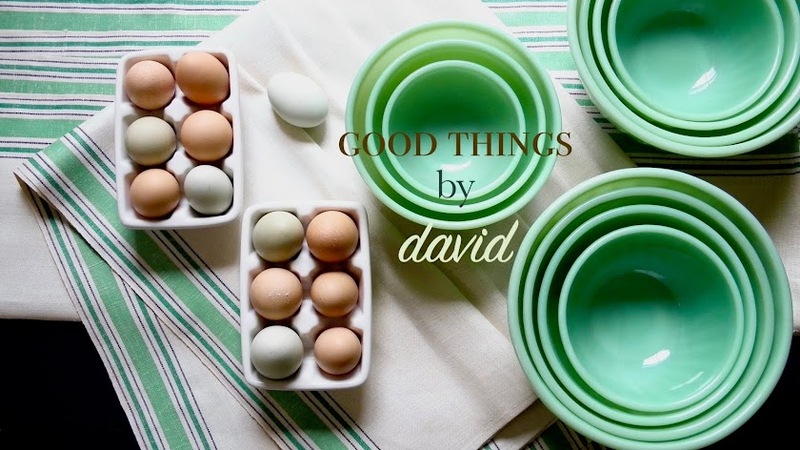 Go through my step-by-step tutorial to create these sweet treats! Royal Icing Colors: a pale robin's egg blue, a carnation pink, a lavender rose, a pale lilac, black, a dark chocolate brown, a coppery chestnut, a creamy ivory, and, of course, some white. If you're a royal, then a proper tea will have delicate cups in beautiful colors, teapots made from the finest porcelain, and sweets meant to be enjoyed with a cup or two of exquisite tea. A dessert table can have multiple platters, such as these ironstone ones, set with iced cookies for all of your guests. The teacups are the easiest of the set to make. 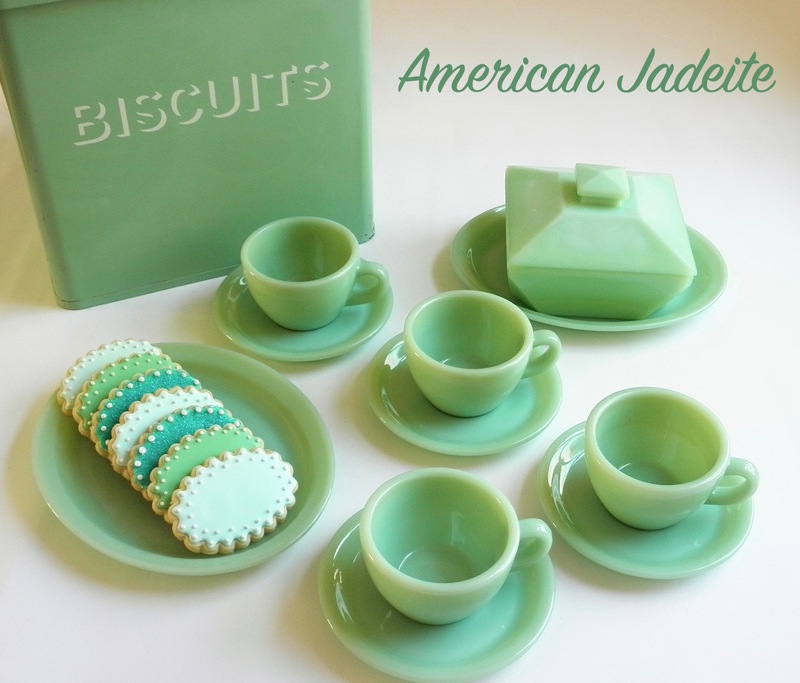 Simply cut out and bake teacup-shaped sugar cookies or chocolate cookies and use pastel shades of royal icing to cover. Personally, I like the dark color of the chocolate cookies (use Valrhona cocoa powder) for these. Outline and flood an almond-shaped top to create the rim, and then outline and flood the body of the teacup. Leave a space between both shapes to give the illusion of a rim. Outline and flood a small almond shape for a handle. While wet, add pearl candies to make each cup unique. Let dry. You can then go back and trace a bead of icing for a looped handle and affix a pear candy against the body. Cupcakes or fairy cakes are essential for any princess. 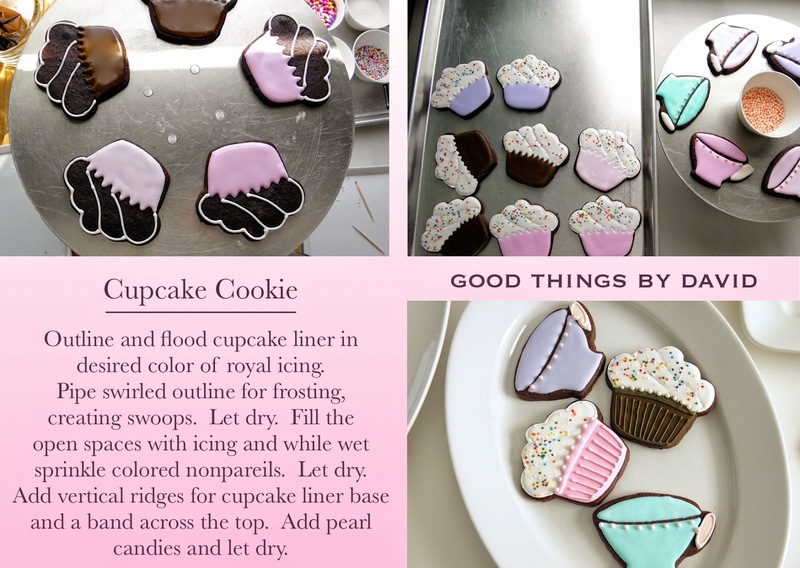 Cut out and bake cupcake-shaped cookies, then ice them in royal icing. I start by outlining the 'cupcake liner', creating a ruffled top and then flooding the area with icing. Make the 'cupcake liners' different colors for visual contrast. Pipe outlines for frosted tops in white icing, making swoops to create peaks of icing. Go back and fill the areas with royal icing and then sprinkle lightly with colored nonpareils. Let them dry. Delicious! 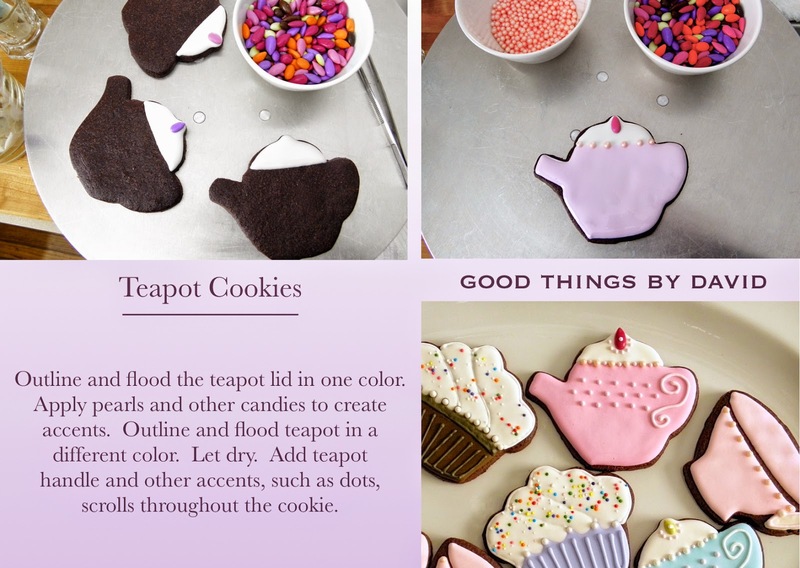 The teapot cookies are adorable! Outline and flood the lid in white, and then add a finial with a candy of your choice while the icing is wet. I happened to discover chocolate-covered sunflower seeds at the store one day, so I thought they would do for this purpose. Outline and flood the teapot's body in a different pastel color. Affix pearl candies along the seam between the body and lid while the icing is wet. Let dry. Go back and add the tiniest of dots of royal icing around the finial and teapot, then add a scrolled teapot handle. The hearts were a variation of what I created for Valentine's Day. They were the ones my niece liked and requested in her favorite colors. Again, these are done according to taste. Outline and flood an entire heart in one color and then affix pearl candies along the border (the easiest of these hearts). For two-toned hearts, trace a center heart onto a baked cookie with a food-safe marker, and then cover the outline in icing. Outline and flood the 'outer heart' first, adding pearl candies or leaving it as is. Let dry completely. You can then flood the center heart in a different colored icing, and flock it with sanding sugars or tiny nonpareils. Add accents where you see fit. 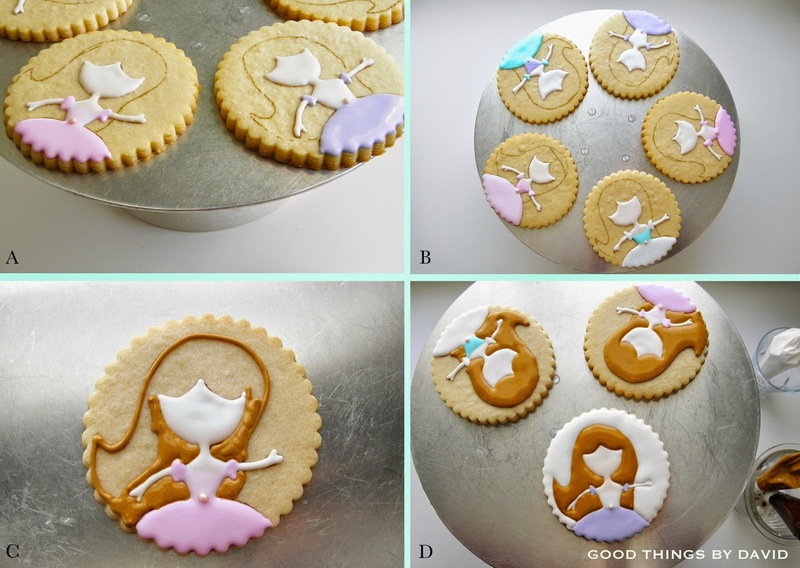 For the Princess Cookies, cut whatever sugar cookie shapes you want. I happen to like scalloped rounds and I highly recommend this shape so that each princess ends up with a ruffled ball gown. A. 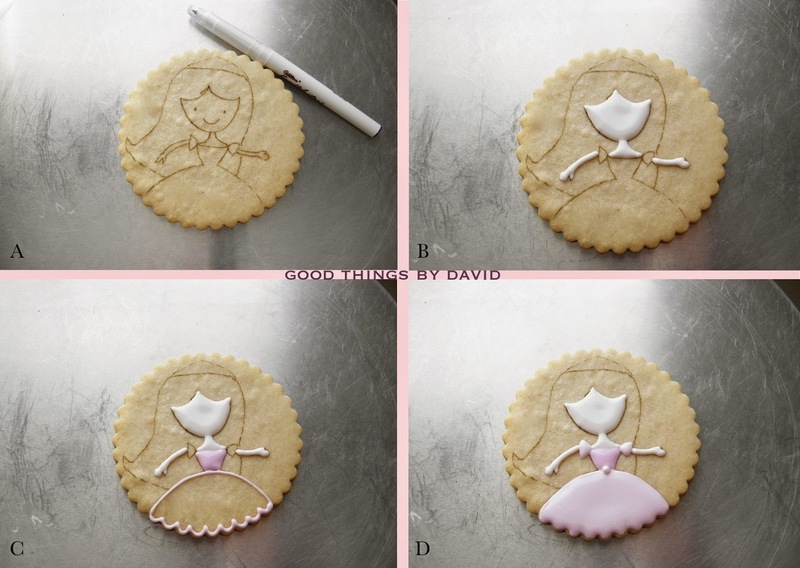 On a baked cookie, sketch the shape of your princess with a food safe marker. Add long hair that is flowing, and a gown with lots of volume. B. Using a creamy ivory royal icing, outline and flood the face and neck using a #1 piping tip. For the arms, simply pipe a bead to fill in the tracing. The thumb is important, so pipe a small point with the tiniest of pressure from your piping bag or squeeze bottle. The rest of the hand is a simple mitten-like form. C. Outline and flood the bodice of the ball gown in one color. D. Outline and flood the shoulders and skirt in a different color. While the icing is wet, center a pearl candy on the waist. A. You can see that I'm always working on a cake turntable. This allows me to work with multiple cookies at one time. B. Every princess has a different dress, because each one is unique. C. Using the copper chestnut royal icing, outline and flood the hair of the princess. Remember to allow her hair to fall on both sides of the gown so that it looks as if it's loose. D. The final treatment to each cookie is outlining and flooding the exposed cookie in an appropriate color. This, of course, is optional, but I think it gives the cookie a better look. Let the cookie dry completely. Let's not forget the tiara. A. Pipe the shape of a tiara as indicated. B. Pipe stems that connect the points to the base of the tiara, and then pipe dots in between these spaces. Add pink pearl candies along the points of the tiara to create an ethereal tiara. Let this dry. C. In order to create a magical ball gown, after the icing has dried completely, pipe the smallest of dots along the neckline, shoulders and the skirt of the dress. You're literally letting the icing drip down the #1 piping tip delicately, without adding any pressure. The dots look like hand stitched pearls. Magical! D. Add two black dots for eyes and center a smiling mouth. Voila! The ball gowns of these princesses are simply beautiful. I hope my niece likes them! 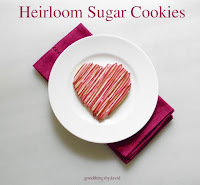 Some cookies are iced in shades of pink carnation. Other cookies have robin's egg blue for a bit of whimsy. Dark brown confections are an absolute must. This lavender rose tone creates an adorable bon bon color. Pale lilac is customary for royalty. It's a must-have for princesses! 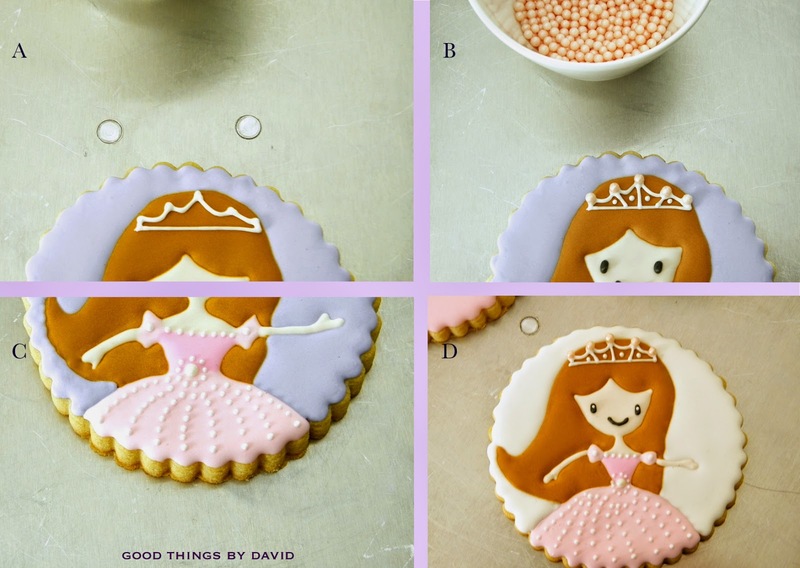 Create a little bit of magic for the princess in your life with some sweet cookies. Remember to add lots of love to each of your treats to make them exceptional. You are such a good uncle. Love, love, love, love these cookies!! Your talent blows me away. All I can say is wow. Wow. Absolutely adorable!!!!!! And oh boy what a labor of love. She's a lucky little gal to have such a dedicated uncle. She will tresure the memories! Beautiful and totally sweetend with love. My 5 daughters will just love this post - am sending them the link now. That's great Phil! I hope they do like these.